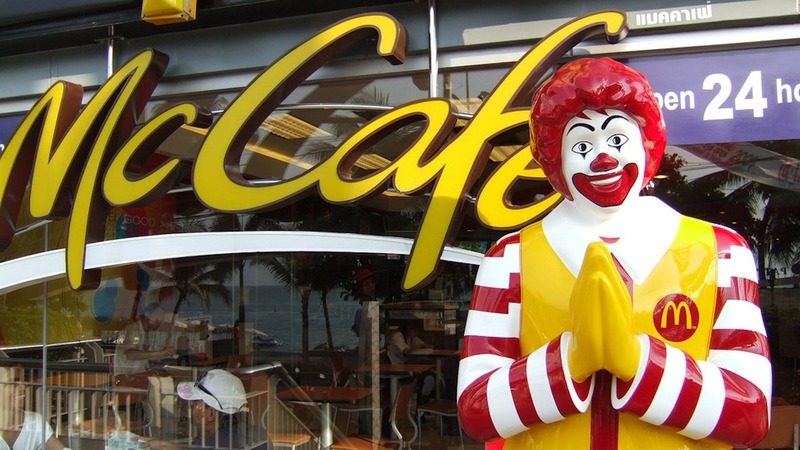 If you have been to McDonalds in Thailand you would have noticed the Thailand Ronald McDonald doing the Wai. Lately in Thailand’s main tourist areas, you would have noticed how many Western style fast food restaurants have popped up everywhere. McDonalds, most peoples favourites, is one of these that gives tourists a quick taste of something familiar while holidaying. It’s also good way keep the kids in line while travelling. Most children love McDonald’s and being cheaper than in your own country, it is a good cheap feed. Ronald McDonald is a well recognised figure around the Western world. It is and now becoming a recognised figure in Thailand but he has changed his image. 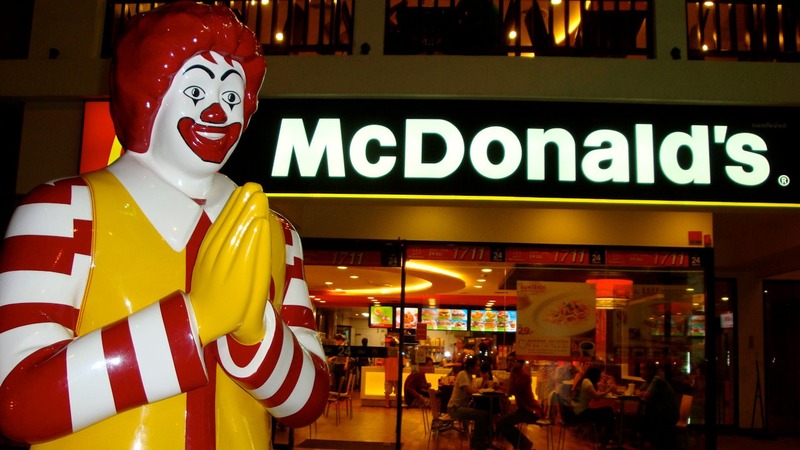 In Thailand, Ronald McDonald greets folks within the traditional Thai “wai” greeting gesture of both fingers pressed together. The Thai model was created in 2002 by the local Thai franchise as part of a “McThai within the Thai Spirit” campaign. The figure has also been exported to India and different countries where an identical gesture is used. It is also a good opportunity for people to take a good tourist photo to show how different Ronald is to the folks at home. McDonalds. Is It Good For Thailand? You may think it is a bad thing for Thailand tourism but it looks like it’s here to stay. Some people do not like it because it takes away the old way that Thailand used to be like. It also loses some of the Thai culture and shows how much western development has come to Thailand. Thai people also complain that people are getting fetter because of it. Their diet is changing from what is used to be and you see more fatter children than before. It will also affect small businesses if one is opened up nearby. Thankfully people still come to Thailand for Thai food.